Hi everyone, I’m coming back on the topic of Virgin hair. I had compared virgin hair with other types of hair in the previous post. So this time, I will tell you some tips to Choose the authentic virgin hair. 0.1 What is virgin hair? 1 What is the difference between all the types of virgin hair on the market? 1.7 How to check if you’ve purchased authentic virgin hair extensions? Virgin hair is hair that is unprocessed with all the cuticles intact. Virgin hair is free from the following processes; chemical treatment, perming, dying, bleaching or coloring in any way. The hair usually is single drawn. Virgin hair is the next level up from Remy hair, apart from being cuticle correct it has all the features stated above. How to choose the right color of hair extensions? What is the difference between all the types of virgin hair on the market? Brazilian Hair is the most sought-after hair on the market, it is coarse in texture and heavy in density. The hair usually comes in colors of black to light brown and can either be in body wave or tight curls. Brazilian Hair is good if you want thick, bouncy hair. Indian Hair is good if you want to have shiny, straight hair. It will be shiny hairstyles after doing straighten. The hair is thick and coarse. 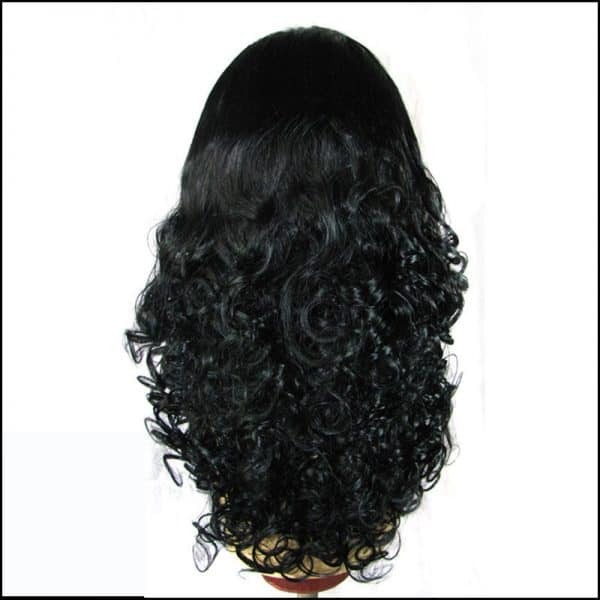 The virgin Indian Hair comes in dark colors and can have extremely long lengths. Peruvian Hair is very difficult to source this is why it is more expensive than other hair on the market. If you like extremely thick hair and light brown colors, then Peruvian hair is the hair for you. Be careful to not buy too many packs of Peruvian hair, as it will look overfull and square. The hair lays thick so you will need fewer bundles to give the desired effect. If you like naturally wavy or curly hair, this is one to go for. This hair is in the darker colors, but on saying that the hair is extremely soft and shiny. The Malaysian hair is relatively new on the virgin hair market and is priced a bit more expensive than Chinese and Indian hair. Some would not recommend Chinese hair to customers to buy; it is usually the cheapest virgin hair on the market. But on saying that virgin Chinese hair that has been well taken of can be very good for straight shiny hairstyles. The hair does not curl easily, so the hair is not as versatile as other virgin hair on the market. Because China is the main manufacturer of hair extensions, most virgin hair is actually Chinese hair that has been dyed to be made to look like Brazilian, Peruvian, etc hair. Cambodian hair is thicker and darker than Indian hair and usually has a slight wave. Like Indian hair, it has split ends. If you purchase the hair directly from Cambodia, expect to pay no less than $150 for an 18-inch piece. If you pay cheaper retail prices, you are not purchasing authentic virgin Cambodian hair. This ethnicity hair is typically thicker strand and low to medium-low luster. Easily lifts for lightening, accepts color and holds a great curl after styling. Haircut off from a donors head, unprocessed, not dyed with the hair cuticle going in the same direction. 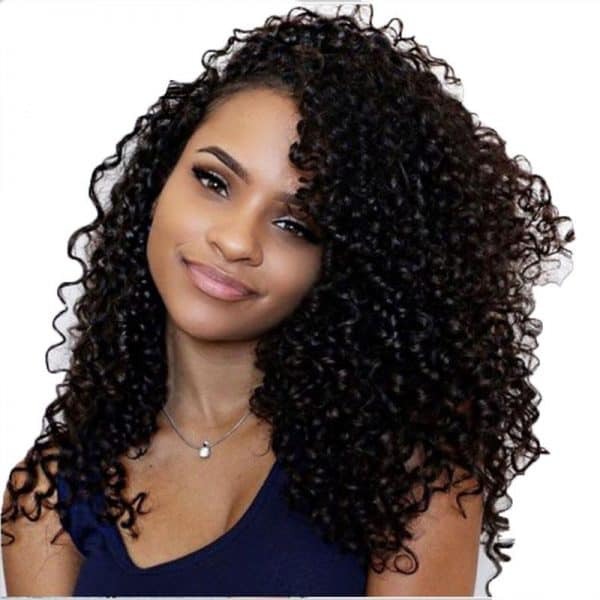 Most of the Vietnamese hair is sold to Germany, Israel, Ukraine, United Kingdom, Italy, Argentina, France, US,…..
How to check if you’ve purchased authentic virgin hair extensions? You can feel the cuticles. Hold a strand of hair near the top between your thumb and index finger then slide your fingers down the entire length of the hair. The hair should feel smooth. If you reverse the motion and slide your fingers up the strand, the hair should have ridges—these are the cuticles. If the hair is smooth both ways, the cuticles stripped by an acid wash and you’ve purchased fake virgin hair. Smelling the hair, if it smells like a bunch of chemicals; NOT REAL. This is some tips to help you choose the authentic virgin hair. And it is important that you find a reputable supplier. 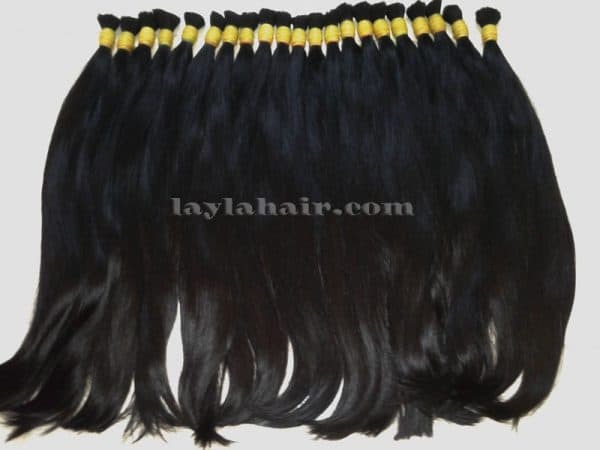 At Layla hair company, we believe in selling top quality human hair. Our clients have the confidence anywhere they go to flaunt our hair like if it was their own. We sell 100% virgin hair from Vietnamese Hair, Cambodian hair. Donated or sold, it is cut straight from a human beings head, cleaned, treated, then sold. This hair can be kept for a long time as long as it is maintained. Please keep our website to get more useful information in the next post.